Here are the key advantages that companies gain when they incorporate Houston into their Latin American import and export strategies. If your company is looking for a gateway to Latin America’s plentiful—and growing—trade opportunities and a robust logistics hub to work from, then Houston should be at the top of its selection list. The U.S.’s second-largest economy and home to a number of important ports including Houston, Galveston, Corpus Christi, and Brownsville, Texas boasts a diverse cargo mix and built-in efficiencies. Galveston, for example, is known as “The Port of Everything,” and its strategic location on the Gulf of Mexico provides direct access to and from Houston and the rest of America. 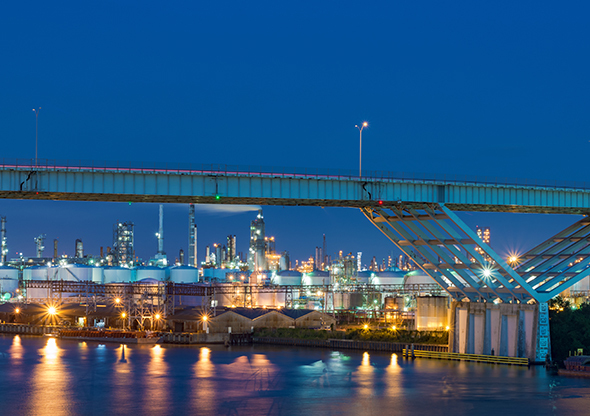 For more than 100 years, Port Houston has owned and operated the public wharves and terminals of the Port of Houston – the nation’s largest port for foreign waterborne tonnage and an essential economic engine for the Houston region, the state of Texas, and the nation. In total, the port supports the creation of nearly 1.175 million jobs in Texas and 2.7 million jobs nationwide, and economic activity totaling almost $265 billion in Texas – 16 percent of Texas’ total gross domestic product – and more than $617 billion in economic impact across the nation. Houston is a dynamic international marketplace that attracts capital and people from all over the world. Today, Houston is the nation’s fourth largest economy, and what Forbes calls “America’s next great global city.” With 6.5 million people, the Greater Houston Region is the fifth largest metro and the fourth largest economy in the U.S. Trading patterns for Houston have shifted over the last 10 years and Latin America is now Houston’s largest trading partner. Driving this change are policy and demographic changes that have better enabled Houston businesses to conduct business with Mexico. Houston boasts one of the youngest, fastest growing, and most diverse populations anywhere in the world. It is home to the world’s largest medical center, NASA’s Johnson Space Center, five research universities, and is widely recognized as the Energy Capital of the World. The city is 50% Hispanic, and has the language capabilities, cultural capabilities, and other strengths that make it the perfect gateway to Latin America. Its airfreight infrastructure is well established (and expanding annually). Home to six of the top 50 busiest airports in the country, Texas’ airfreight infrastructure includes both Houston George Bush Intercontinental (#11 in the country) and Dallas/Fort Worth International (#4). With at total airfreight volume of 40,421 metric tons in 2018 (up 16% over the prior year), George Bush International’s cargo operations include more than 1 million square feet of warehouse and office space; runways up to 12,000 feet long and 24/7 service; the IAH Perishables Center (for time- and temperature-sensitive freight); and an onsite fumigation center and a full-service U.S. Department of Agriculture Animal/Plant Health Inspection Service (APHIS) center. Houston is an international hub for companies and investors, alike. Innovation, new technologies, and advances in a diverse set of fields make Houston a town that does more than just produce energy. The areas of medical innovations, manufacturing growth, and infrastructure investment are other booming sectors. Overall, Houston boasts the busiest U.S. port in foreign tonnage, the fourth busiest customs district, the eighth busiest international airport, the fifth best city for global investment, and the third largest consular corps. Latin America is a growing opportunity for U.S. importers and exporters. Forty percent of all U.S. exports are shipped to Latin America. The U.S. has Free Trade agreements (FTA) with 11 Latin American countries, including: Chile, Colombia, Costa Rica, Dominican Republic, El Salvador, Guatemala, Honduras, Mexico, Nicaragua, Panama, and Peru. According to gov and IMF.org, the top commodities that are in demand in Latin America include (but aren’t limited to) agricultural products; automotive parts and supplies; building materials and services; computers and peripherals; cosmetics; food and beverage; forestry and woodworking machinery; and industrial chemicals. A robust road and rail infrastructure supports a growing volume of land transport. Within the Texas Department of Transportation (TxDOT) Houston District, 3,315 centerline miles of freeways and expressways (representing 10,767 lane miles) are currently operating. There are 929 long-distance trucking establishments operating in the Houston metropolitan statistical area (MSA), which is served by BNSF Railway Company, Kansas City Southern Railway Company and Union Pacific Railroad Company. Houston also lies along the route of the proposed Interstate 69 North American Free Trade Agreement (NAFTA) superhighway that will link Canada, the U.S. industrial mid-west, Texas, and Mexico. Houston is a global manufacturing and logistics hub, with four ports, two international airports, 32 active foreign chambers of commerce, more than 90 foreign consulates, and more than 5,700 firms engaged in foreign trade. Port Houston is one of the world’s busiest ports and the No. 1 export port nationwide. Collectively these assets enable Houston to be a leading exporter. It’s also the fifth-largest container port in the U.S. During the second quarter of 2018, for example, Port Houston handled 1,057,964 twenty-foot-equivalent- units (TEUs) and catapulted up from the sixth spot. Led by strong import volume, Port Houston is outpacing trade for the U.S. as a whole in 2018. During the first six months of 2018, Port Houston imports from the Trans-Pacific region jumped by 24 percent, a significant hike compared to overall U.S. Trans-Pacific imports, which increased by 5 percent. Port Houston has invested hundreds of millions of dollars on new infrastructure and technology at its two container terminals in recent years. As part of an aggressive strategy to leverage new technology and capacity to continuously improve the customer experience, that investment includes three new ship-to-shore cranes that were delivered to the Bayport Container Terminal in 2018. New cranes also have been delivered to the Barbours Cut Container Terminal, a 40- year-old facility that is being extensively modernized. A key entry point to the U.S., Houston serves as a viable gateway for any company that’s looking to start or ramp up its Latin American trade activities. By working with a logistics provider that has experience in the region—and that can introduce your company to a broad range of diverse business opportunities and tactical strategies—you can effectively leverage this key gateway to create a successful Latin American import and/or export plan. By aligning with a logistics provider that has decades of experience in the Houston region, shippers can take advantage of modern, automated warehouse facilities that are strategically positioned to act as centralized control towers for companies trading with Latin America. DB Schenker not only enables easy freight clearance and supports a wide array of industries, but we can also introduce your firm to a broad range of diverse business opportunities and tactical strategies. These and other services will help you effectively leverage this key gateway to create a successful Latin American import/export plan.